I am not a medical doctor nor am I a certified nutritionist and make no claims to the contrary. Each individual’s dietary needs and restrictions are unique to the individual. You are ultimately responsible for all decisions pertaining to your health. The information on this website is written and produced for informational purposes only. This website is not intended to diagnose, treat, cure or prevent any disease. Content should not be considered a substitute for professional medical expertise or treatment. The reader assumes full responsibility for consulting a qualified health professional regarding health conditions or concerns, and before starting a new diet or health program. I simply tell my own story. If my story parallels yours then perhaps what is working for me could work for you. The choice is yours. And I know that I am not alone either. I’ve seen so many people lose weight and improve their overall health taking the same approach that I have been taking. I’ve also done the research and I understand the science behind this way of eating and why I’ve gotten the results I have. So I am extremely comfortable that the way I have been eating works and is sustainable. I have struggled with being overweight all my life. From the age of 6, I was always one of the larger kids in the room. I loved rice. I have tried all manner of things to lose weight over the years, and many of them actually worked. But they were not sustainable. I hated replacing a meal with a shake. I love food, the texture,the appearance, the taste and the rituals around eating. A can of some beverage that I’d finish in 25 seconds was simply not it for me. Calorie restriction was painful and I felt deprived and hungry. How could such approaches be sustainable? Could I live on cabbage soup for the rest of my life? Hell no. Nor would I want to. I’ve wondered why my appetite was so huge. Why is it that I seemingly had a larger capacity for food than the average human? Why did it take so much food for me to feel full? What would it take for me to master my cravings, lose weight and keep it off? Why couldn’t I see food and simply say no thanks? Why has it become increasingly more difficult for me to lose weight as I got older? Why do I eat the same amount as an average sized person and gain weight? Sound familiar? Do you identify? Well over the past year and seven months I’ve changed how and what I eat. I’ve lost weight. Lots of it. I no longer am a slave to a huge, uncontrollable appetite. I can go for long periods without feeling hungry. I am the master of what I eat and when I eat. How did this happen? 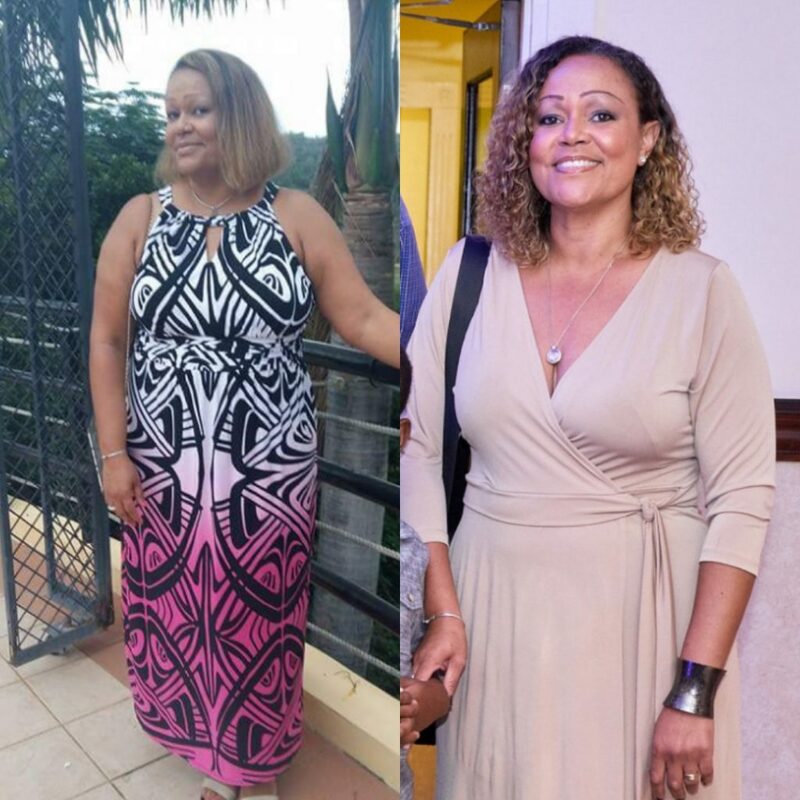 I started the keto, or ketogenic diet at the end of August 2017. I removed carbohydrates, or carbs from my diet and it’s as if a switch was turned off (or on depending on your perspective). Are you interested in the science behind cutting carbs and losing weight? I tackle 15 of the toughest questions I’ve received on keto. The keto diet is all over the news and internet these days. There’s one side singing its praises and there’s another side, quite credible too, warning that it’s dangerous and not sustainable. 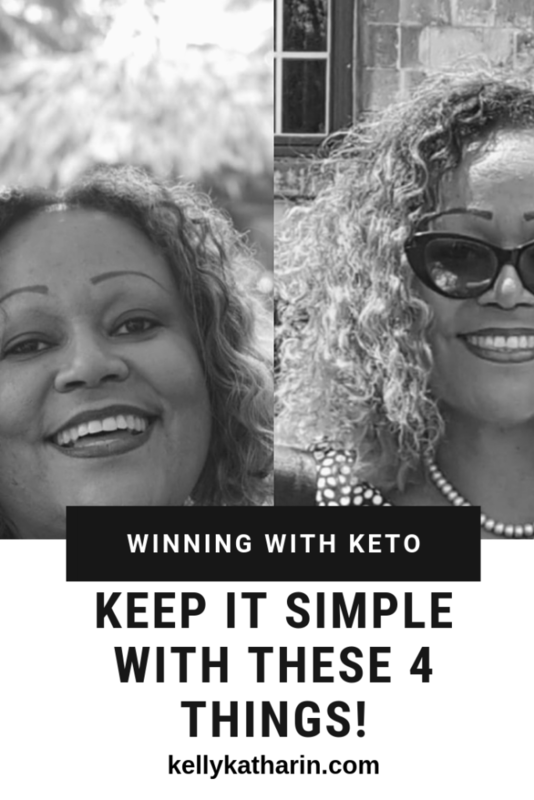 With the growing popularity of the keto diet, businesses have sprung up with all kinds of “must have” products and accessories. Restaurants are now advertising “keto menus” and larger supermarkets increasingly have a “keto aisle”. There are sub-groups now adding to the confusion: “keto-carnivore” or “carnivore” and even within this growing low-carb Kingdom, there are fierce advocates of plain “low-carb” and the fiercer “ketogenic” advocates. Have you ever met one of the “keto police”? The keto police will put you in your place if you eat a piece of fruit or post a picture of some beans. Walk the keto aisle one day. Bars? Wraps? Shakes? Cookies? They all exist, with the tag line “keto” emblazoned on the label. Oh don’t forget the apps! You’ve gotta have an app to track your macros. And while you’re at it, are you in ketosis? Get the strips and pee on them to make sure you’re in ketosis. If you’re not using MCT oil or drinking bulletproof coffee are you really doing the keto diet? It’s all gotten so complicated… And unnecessarily so in my opinion! At the heart of it all, the keto diet is simply a LOW-CARB diet. I discovered low-carb dieting in the early 2000’s after I’d had my son. I stumbled across the Atkins Diet book in a book store. It was a used copy, and I bought it for a few dollars. It changed my life. I applied what it said and lost a lot of weight painlessly. Atkins was simple. It gave a list of foods and their carb counts and advised us to stick to a total of I think 30g carbs per day or less to burn fat, and then gradually increased the allowable total of carbs per day as you approach your goal weight and finally how to maintain that weight. It was clear and simple. Well I got complacent and re-gained weight over the years. Keto or Atkins? Does it really matter? By the time August 2017 had rolled around, I decided to once again cut carbs in order to lose weight. This time I decided on keto. 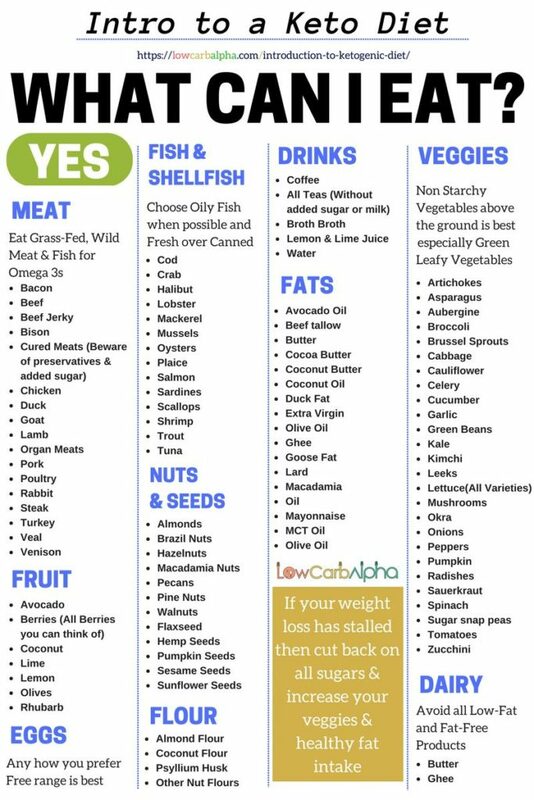 The ketogenic diet calls for 20g carbs per day or less but having most of our calories come from healthy fats. No problem. I freely ate buttery eggs with cheese and fatty cuts of beef with green veggies. My version of keto felt the same as Atkins, with just a little more butter on all of it 🙂 and it worked for me. It was delicious. I counted nothing. I weighed nothing. I didn’t skimp on green veggies. And I lost weight. Of late though, I’ve been reverting to a more classic Atkins type diet, where I’m adding protein fearlessly and cutting back on added fat. And I feel good. I don’t ever weigh, but I see and feel the difference. I’m losing weight at a faster rate and I feel full and stable and in control. Cut carbs. Eliminate sugars and starches from your diet. No bread, rice, pasta, potatoes, ground provisions, flour, sugar, fruit juices. Simple. Still not sure what a carb is? Use Google! Just put in the food you want to eat and ask how many carbs. Too easy. remember you want to reduce your total carb intake to 20g carbs per day for weight loss. Don’t be afraid of HEALTHY fats. I don’t necessarily advocate drowning your food in olive oil or butter. You don’t even need to drink that bullet proof coffee. You can if you want, but you don’t have to. I advocate dressing your salads though. Make a good vinaigrette and eat up! Don’t be afraid of the chicken skin. There’s no need to suffer on dry grilled skinless chicken breast. Enjoy your oxtail, but with cauliflower rice. Go ahead and make mashed cauliflower with butter and cheese. Get the picture? REAL FOOD! Drink more water. By any means necessary, get your water intake up. Hate water? There are many hacks out there to help you develop a habit. Lemon juice in water, fruit infused water, walking around with a water bottle… Get it done. EAT REAL FOOD. Remember what I said about the plethora of keto products out there? Most of those are unnecessary if you shop the perimeter of the supermarket: fresh green veggies, some nuts, full fat dairy products, eggs, fish and meat. That’s it. Simple and clean. Now I understand the need for convenience, and so a “keto bar” comes off as attractive, right? Grab and go. 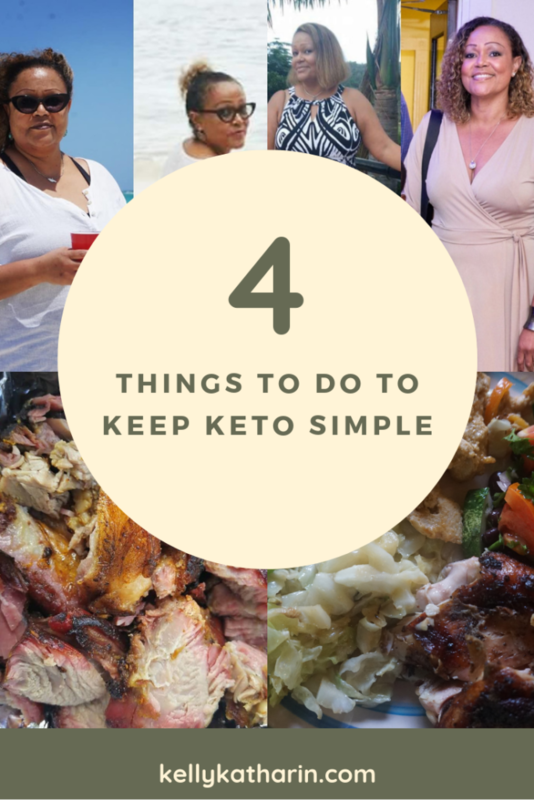 One of the advantages to doing keto or low-carb in Jamaica, is that we don’t have access to a lot of the processed keto food offerings flooding the north American market. I think that we are better off for this. We have to eat real food, with none of the additives that are typically found in processed foods of any kind that can cause inflammation and stall weight loss. Read your labels and make your choices wisely. A food will be declared as “keto” or “low carb” on the front. Turn it around and read the nutritional content at the back. Many of these products have high carb counts because they have added sugars and grains! 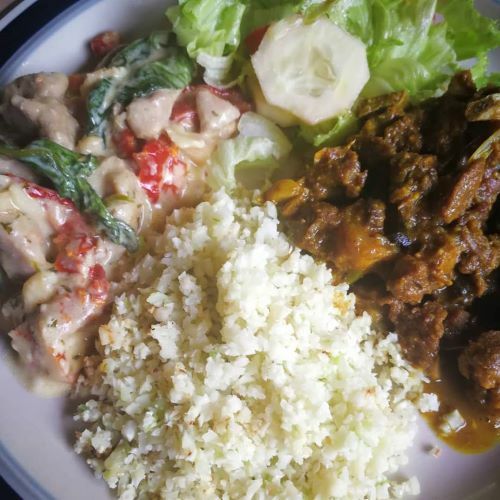 Cauliflower rice and curried goat: Real food! 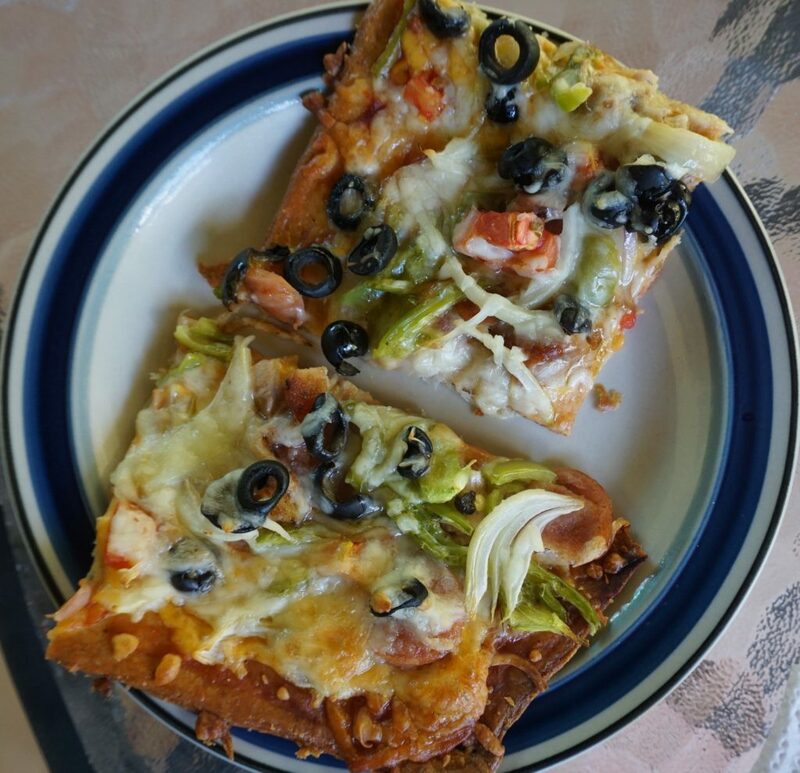 Pizza made with a mozzarella/almond flour dough & topped with loads of veggies: Real Food! 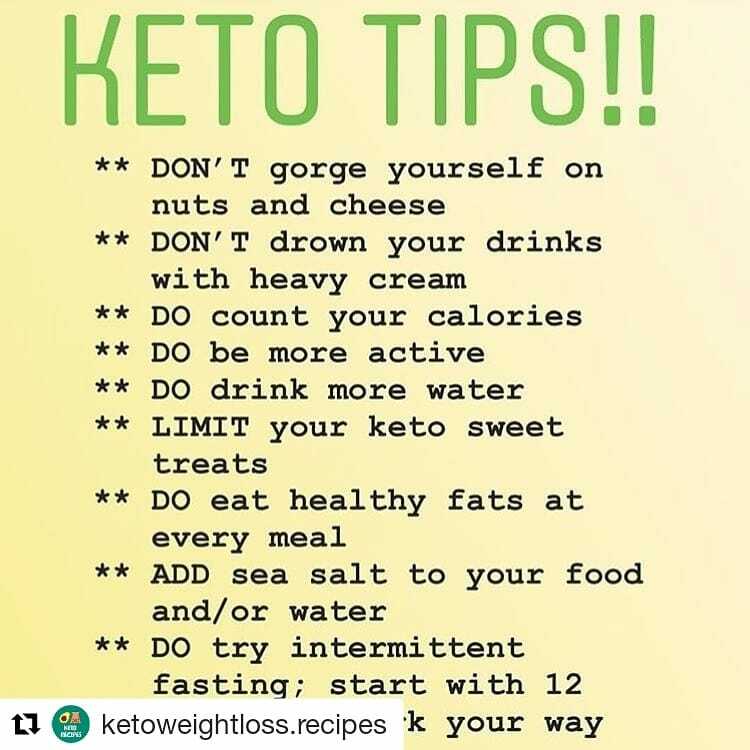 If you think you must check to see if you’re in ketosis, be my guest! But note that a stick that you’ve peed on showing that you’re in ketosis doesn’t necessarily mean that you’re burning fat. If you’re consuming enough fat, then your pee will be full of ketones from your food and not necessarily the by-products of your own fat being burned for energy. Cut your carbs consistently, and you’ll burn fat. You don’t need to take any so called keto supplement. There are lots of “exogenous ketone” products flooding the market now. Simply cut carbs from your diet, your body will naturally start burning fat for energy and the by-product of this fat metabolism is ketones. You’ll make your own. No need to supplement. Feel as if you want to ensure that your macros are aligned with the keto standard? Go ahead! Your macros are simply fats, proteins and carbs. Some people find it useful to track them to ensure that they are getting enough of each. There are several carb trackers available to help you with this process. You simply enter your weight, gender, age, activity level and the desired proportion of your macros. 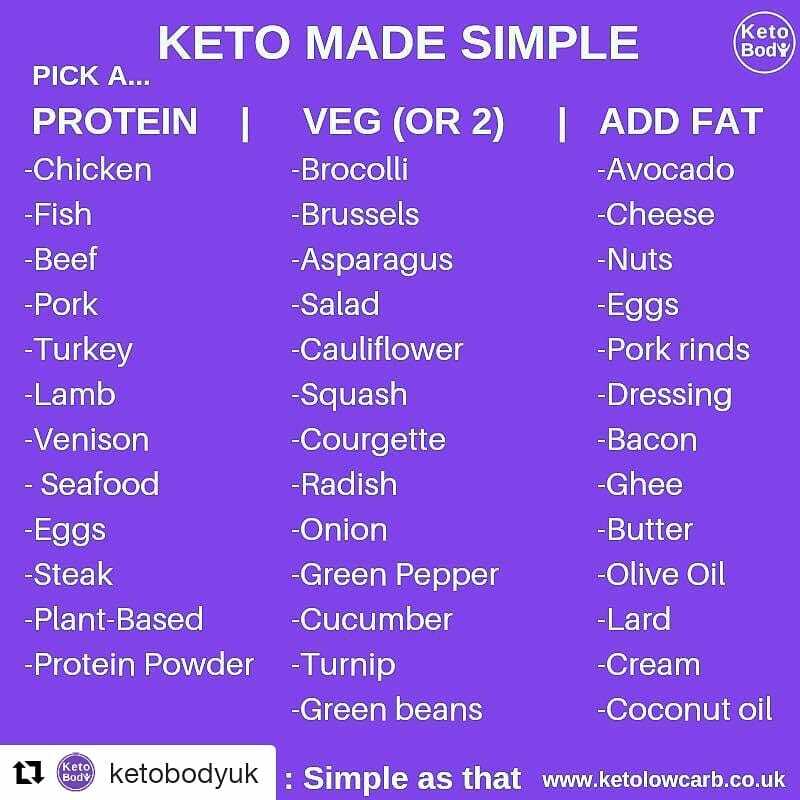 On the keto diet, the standard macro proportions are 60-75% of calories from fat (or even more), 15-30% of calories from protein, and. 5-10% of calories from carbs.The app will guide you in your food choices. Check out https://ketodietapp.com/Blog/page/KetoDiet-Buddy if you’re interested. If weight loss is slow or if you’ve hit a stall, tracking your macros may be very useful. I have clients who insist on doing this and it works fine for them. I personally don’t track my macros. I simply eat real food, no carbs from starch foods and I never go hungry. That has worked for me. A Weight Loss Plan is NOT Punishment for getting Fat! So many of us carry around guilt with the extra pounds we carry around. We feel as if any attempt to lose weight that is not painful will not be effective! Why do we feel the need to self-flagellate and deprive? You are not greedy or weak. You are likely insulin resistant and the remedy for that is to stop simply reduce the need for insulin by removing carbohydrates from your diet. It’s science, not magic. This “all things in moderation” credo simply doesn’t work for the insulin resistant person struggling with obesity. It is not a reflection on your character that “eating less and moving more” has not worked for you. What if I told you that those expensive, painful juice cleanses are really only assuaging your guilt at being fat? If your liver and skin are functioning fine, just drink more water, cut out the processed foods and carbs, and your body will detox itself just fine. Trust me. You don’t have to starve to lose weight. Real food, aligned with how your body works in a optimal way is your answer. 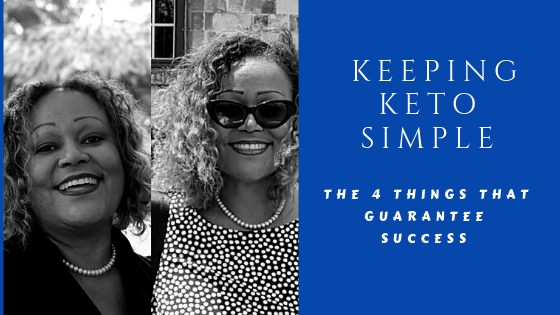 All of the above is simply guidance to get you going. As you progress, your weight loss will slow down and even stall at points. 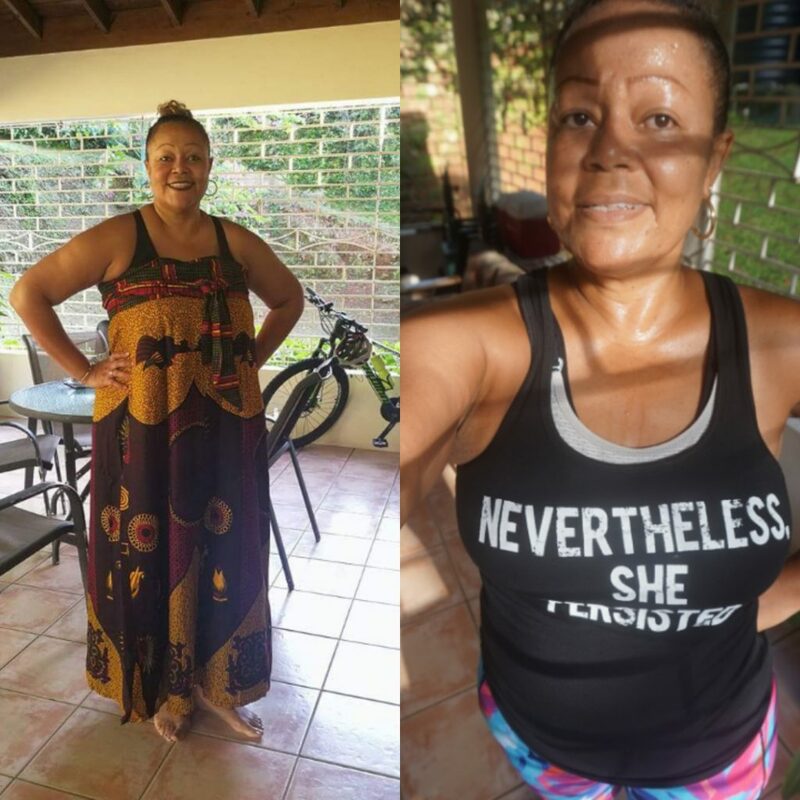 It is at this stage, months into your journey, that you can start to contemplate what I term add-ons like intermittent fasting and perhaps reducing your overall fat intake (especially if you’re a middle aged female like myself), increasing exercise intensity and increasing protein intake. I know that any way of eating that has me counting or weighing or measuring will not be sustainable for ME. And that’s why simply eliminating carbs from my diet has been sustainable over the past 19 months, it has been enjoyable (I’ve eaten so much yummy food!) and I have not felt a single day of deprivation. It’s not magic, it’s science! Making fat, my own fat, the source of my energy has been the best thing ever. 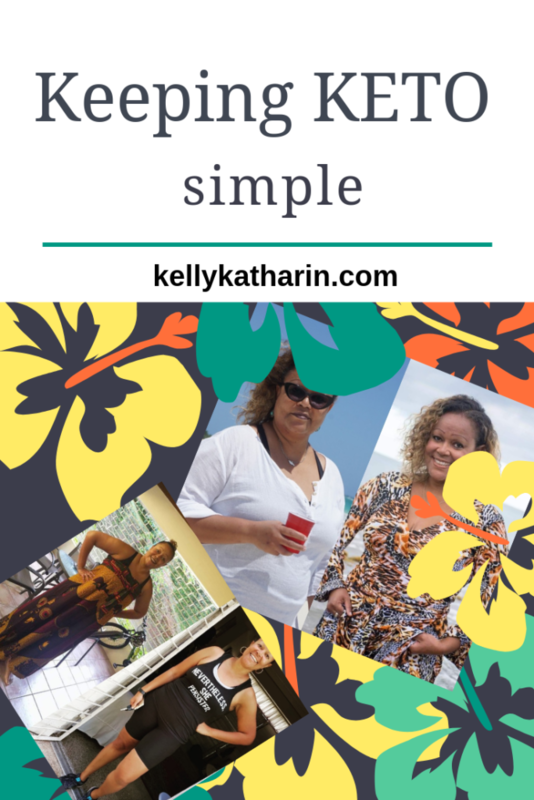 Please join our support group on Facebook here and subscribe to my blog as you ramp up your own livity, aligning body and soul.